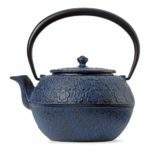 I created this resource page so that tea enthusiasts could easily find the services, products, and companies to help you enjoy tea at its very best. I also listed resources that I use for my blog, since many of you have asked me about this. 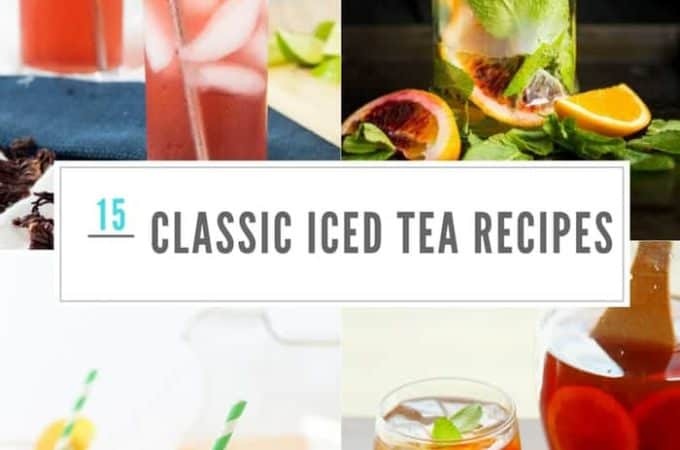 Here are my recommendations for tea lovers and bloggers alike. Bookmark this page and check back often! This list will continue to evolve as I find different resources that are worthwhile. Disclosure: This post contains affiliate links. But these are all products I highly recommend. I have either personally used and/or verified them. 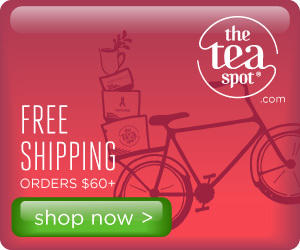 In my search, I’ve discovered over 600 online tea shops! So how do you know which ones are reputable? I narrowed my selection by including those that carry loose leaf and some organic teas. I surveyed other tea aficionados for their recommendations and I’ve included some personal favorites. I’ve narrowed them down to just ten shops and I’ve tried to give you a wide variety from those that ship internationally. 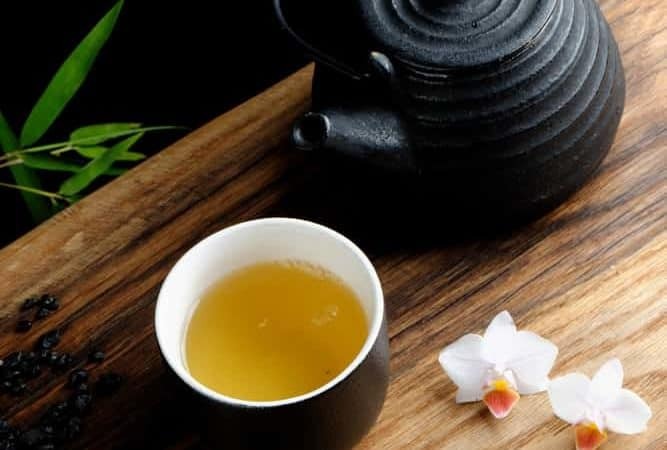 Every tea shop specializes in something different, whether it be single estate tea, flavored tea, herbal tea, green tea, black tea, Pu-erh tea or origin specific tea. They are listed here in alphabetical order. I think this is a good place for you to get started in specialty tea. As you refine your tea palate, you might become a little fussier! Fortunately, there are many shops to choose from. 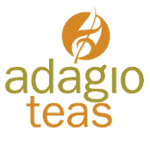 Adagio Teas: Specializes in an expansive variety of loose leaf teas and teaware. They source directly from the artisan grower. The teas I have tried are always fresh and have a superb flavor. You can find almost any type of tea from herbals to Masters collections, which I do recommend. They depend heavily on reviews, which are very helpful when buying their teas. They also include information about the origin of the tea and brewing guides. 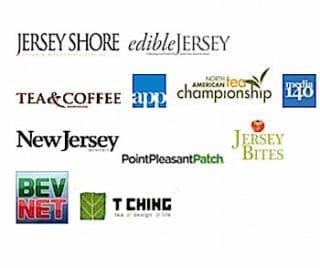 A New Jersey-based company owned by a mother and son’s team. Samples are available and they ship internationally. 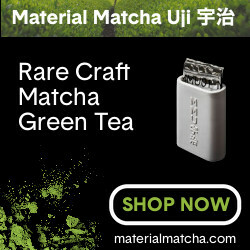 MatchaSource: Matcha tea comes in different grades. Alissa White is the Founder of Matcha Source, an online retailer of premium matcha tea and specialty utensils for preparing and enjoying matcha. This shop focuses strictly on matcha, from ceremony grade to kitchen grade and everything in-between. What you pay for are flavor profile, not nutrients. Young leaves plucked early in the harvest, produce delicate and vegetal flavors. Mature leaves contain more coarse matter from stems and veins and taste more astringent. 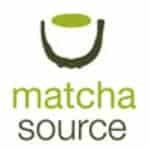 MatchSource teas are hand-picked by the Yahagi River in Japan. International shipping. Palais des Thés: Specializes in single estate, flavored teas, and herbal teas. They have quite a wide variety of quality fresh teas from tea estates around the world. François-Xavier Delmas is the founder and has been touring the world’s tea plantations for more than 20 years in search of the finest teas. They feature teas from Darjeeling to Shizuoka, from Taiwan to the Golden Triangle. This is a great place to start trying out different teas. It is a boutique style tea shop. They have sample sets available and ship internationally. They also have boutiques all around France, Belgium, and Japan. In the US they have a boutique in New York City along with a Tea School. Ships internationally. TeaBox: Indian based tea company specializing in high-quality single estate Indian grown loose leaf teas. Sourcing the freshest teas from Indian tea estates in Darjeeling, Assam, and the Nilgiris as well as freshest teas from Nepal. Darjeeling and Nilgiri black teas are some of my personal favorites. And you can’t make a good English Breakfast tea without a good Assam. I want to try the Margaret’s Hope Moonlight Spring White Tea! Ships internationally. Teatulia: Specializes in Indian teas. A Denver-based company co-founded by Dr. Kazi Anis and Linda Appel Lipsius, they focus on sustainability, 100% organic fresh tea and the women of Bangladesh. Teatulia teas are single garden teas, grown and hand plucked in the beautiful tea gardens of the Kazi & Kazi Tea Estate in Northern Bangladesh, then delivered directly to the consumer. As tea gardens go, this one is fairly new. It was cultivated from virgin land nestled against the Himalayas to the North and the Brahmaputra and Ganges Rivers to the South in 2,000. They offer a wide variety of teas and have won many awards at the North American Tea Championships. You should definitely go to their website to check out the co-operative programs they have developed for the economic prosperity of the people in the region. International shipping. TeaVivre : Specializes in authentic Chinese teas. 100% natural. TeaVivre means Tea for Life. They carry a wide variety of unflavored teas and teaware. 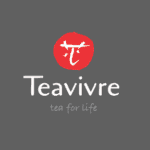 TeaVivre is a group of tea lovers and aficionados from China, Canada, and France. All living in China, they frequently visit China’s tea plantations tracking down only truly exceptional teas. Known for their green teas, some rare green teas such as Ming Qian Long Jing. China also produces some of the best black teas of which you will find many here. Samples are available. Compliant with the European Union, which has much more stringent allowances for residues than does the United States. Really high-quality teas – ship from China internationally. The Tea Spot: Handcrafted teas. They specialize in gourmet loose tea with handcrafted, signature blends, and single-estate full leaf teas. You will find a large variety of health-focused blends. The company was founded in 2004 by Maria Uspenski, a cancer survivor drawn to the health benefits of whole leaf tea during her recovery. Her message is simple and powerful: tea in its freshest form renders premium flavor and unmatched health benefits. 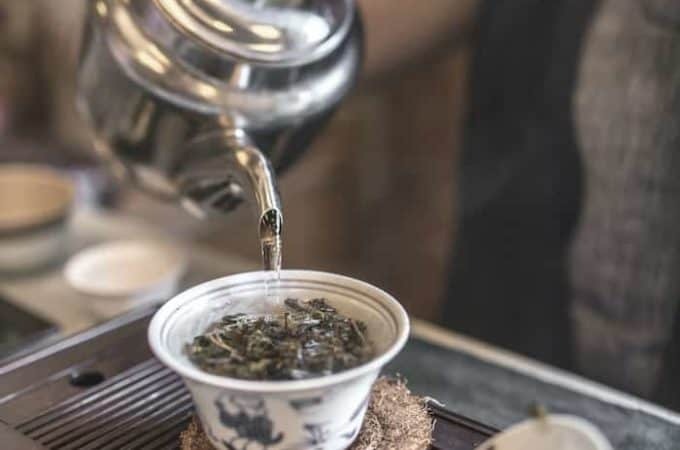 With a steadfast mission to foster health and wellness through tea, The Tea Spot donates ten percent of all sales in-kind to cancer and community wellness programs. The Tea Spot is a Colorado-based Certified B Corp, woman-owned and operated philanthropic business. 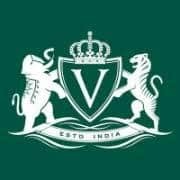 Vahdam Tea: Vahdam tea specializes in garden fresh Indian teas. All their teas are procured directly from plantations and tea growers within 24-48 hours of production, packaged garden fresh and shipped directly from the source in India. By eliminating all middlemen, they make available fresh high-quality teas. This makes sure that the growers are able to retain all earnings in the region where these divine teas are grown. This process helps every farmer get a better price for their produce. A truly ethical, fair-trade tea. VerdantTea: A marketplace for small family tea farmers, directly from their farm to your cup. This Minnesota tea shop has a unique approach to tea shopping. You don’t shop by the tea type or by the country – you shop by the farmer. The estates are listed and you virtually meet the family growing the tea. They specialize in a variety Chinese teas black, green, white, Pu-erh and herbals. Their teas have gotten some very good ratings. Verdant Tea always provides steeping instructions for both western brewing and gong fu style. They have some beautiful gaiwan teaware. International shipping. Yunnan Sourcing: Most people shop here for the Pu-erh tea. Excellent selection of ripe and raw Pu-erh, oolongs tea, black tea and white tea. They also sell some unusual teas like purple tea and yak butter tea. Pu-erh samples are available. Their raw Pu-erh teas are produced mostly from a single village or mountain sources in small batches. All raw cakes are processed at every stage in the traditional method to ensure the best possible long-term aging outcome. Their ripe Pu-erh’s are selected based on their taste profile, fermentation degree, leaf quality and future aging potential. Ships internationally from China and the US. MaryAnna’s Tea: I would be remiss if I didn’t mention my own site. However, my specialty is artisan brewed bottled tea from a premium blend of loose leaf teas. 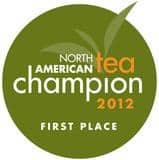 MaryAnna’s Tea has won several top awards at the North American Tea Championship for best-bottled tea. I use the direct-brew method to naturally infuse the tea and bottle immediately afterward. 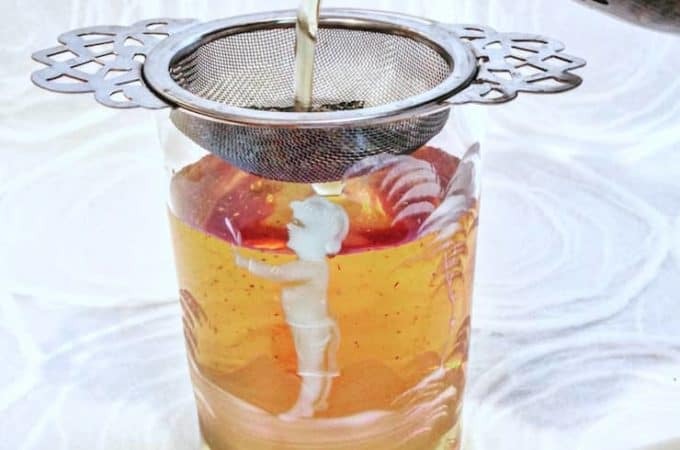 This is the least processed method available for bottled tea. The more a food or beverage is processed the more nutrients are lost. 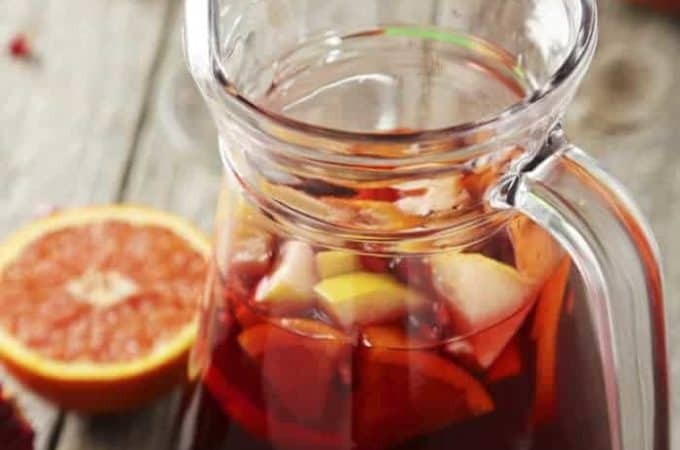 The direct brew method helps preserve the natural tea flavor, nutrients, and antioxidants inherent in freshly brewed tea. All MaryAnna’s iced teas are made from 100% natural and non-GMO ingredients. Free shipping continental US only. Alessi Michael Graves Kettle with Bird Whistle, Blue Handle: How cute is this? If you’re looking for something with a little more style, I absolutely love this tea kettle. It’s a beautiful design and I love the little bird as the whistle. It is a little pricier but it would definitely make a very beautiful and thoughtful gift. This kettle has a wide base design, which is what you want for a quick boil. 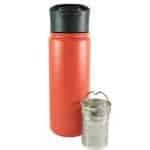 Mountain Tea Tumbler: I also have this tea tumbler and I love it. The seal is tight and the tea temperature is kept hot for many hours. You can’t have too many tea tumblers! 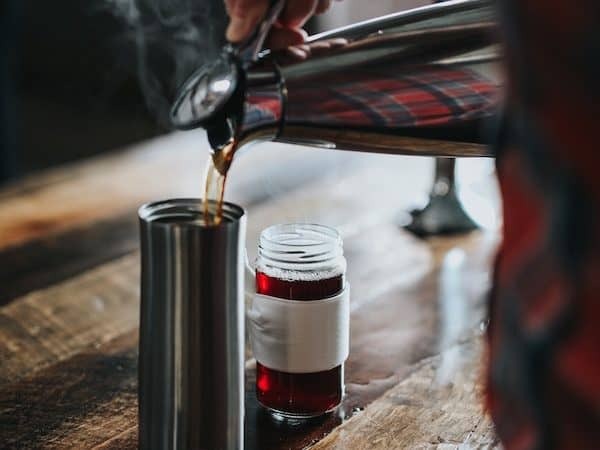 It has a large stainless steel basket to hold loose leaf tea but allows you to sip from the top without sipping up tea leaves. A great design. You can leave the basket in place or remove it after steeping time is up. 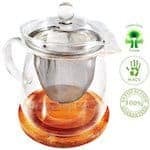 Caffèsta Stainless Steel Loose Leaf Tea Infuser with Silicone Grip: A tea infuser is a must if you are drinking premium loose leaf teas. Please don’t buy one of those little tea balls. They don’t leave room for the larger leaves of specialty tea to unfurl properly. It’s all about the art of the infusion – that’s where all the flavor comes from. I have found the best designs have a handle or rubber type grip to remove it from a mug, cup or teapot. Elegant Hand Blown Glass Teapot: This is a beautiful glass teapot. It is designed from borosilicate (heat-resistant) glass – so it will withstand the heat of boiled water. I like the awesome bamboo trivet too. This teapot serves two and has a stainless steel infuser – perfect for brewing premium loose leaf tea. The glass is nice because it allows you to see the color of the tea infusion. The company states they chose this product to celebrate tea for its many health benefits. I love this! Cast Iron Teapot: You know I have this teapot! I bought it from Teavana many years ago and have loved it ever since. Teavana is now closed but there are other makers, where the quality is just as good. I’ve never had a problem with rusting. It’s a cast iron teapot that is designed to hold the heat in, and that it does! You can steep your fine loose leaf tea directly in the mesh strainer that comes with it. This Japanese design is modeled after the Tetsubin, the Japanese iron kettle dating back to the 1600’s. Gaiwan: A Gaiwan consists of a porcelain teacup with a lid and saucer. The Gaiwan is designed to be used with green and oolong teas of delicate flavor. The tea leaves are placed directly in the cup with the lid in place for infusing the tea leaves. The underside of the Gaiwan lid captures the aroma and is shared with guests before pouring the tea from the Gaiwan into separate porcelain teacups. This one is from by Teavivre, one of my top tea sites. Go to my post The Miracle of Oolong Tea to see a Gaiwan in use. Want to read some of the best tea books in the industry? I’ve written a post about this. Here are my recommendations for tea lovers. 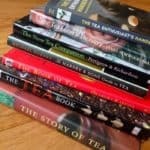 You can read my reviews of the 7 Best Tea Books to Make You an Expert. New to tea and feeling a little clueless? I’ve written this guide to quickly get you up to speed. 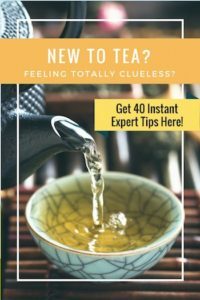 This is the ideal guide to quickly learn what tea experts already know! Sign-up here to receive 40 instant expert tips. 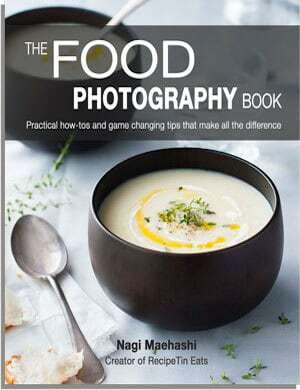 The Food Photography Book : by Nagi Maehashi – creator of Recipe Tin Eats. 80 pages of practical how-to and game-changing tips. I’ve read many ebooks on food photography and this is one of the best! Even if you don’t have a fancy camera, the instruction and tips on composition and lighting are well worth it. Comes with a 30-day money back guarantee. 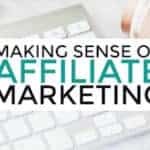 Making Sense of Affiliate Marketing : I recommend checking out this online course for bloggers. Michelle earns over $50,000 a month through affiliate marketing. Michelle shares her exact strategy and tips in this very informative online course. If you’re a blogger (even if you’re a new blogger! ), then you NEED this course. Genesis/StudioPress : The Genesis framework is what Life Is Better With Tea is running on. Once you have that you select one of their many themes. StudioPress is part of the same company and they offer some really beautiful web designs. They are the industry standard, it seems, and I highly recommend them. They have excellent tech support. It’s affordable too! PicMonkey: Many of the photos for my blog posts are edited. I use PicMonkey a lot. You can create some very interesting and eye-catching photos, PLUS PicMonkey is very affordable. I even created my logo for this site with PicMonkey. FoodBloggerPro: Bjork Ostrom runs FoodBloggerPro and his wife Lindsay runs PinchOfYum. If you have no idea how to set up a blog or a WordPress site, you might want to check this out. Even if you’re not a food blogger. The step-by-step videos literally walk you through every step of the way. They make it VERY easy for a beginner. 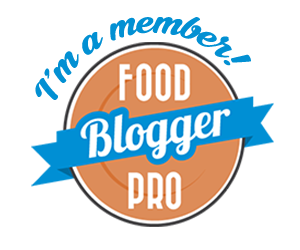 A community forum is a great place where you can go to get questions answered by other food bloggers. It’s how I started this blog. Shopify: Shopify makes it easy to open an online store by providing all the tools and help you need. If you are looking to start an e-commerce site, Shopify is the way to go. I use Shopify e-commerce software for MaryAnna’s Tea. Click here to try Shopify for free! 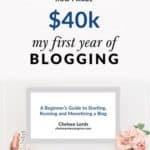 How I made 40K My First Year of Blogging: by Chelsea from the popular food blog ChelseasMessyApron. 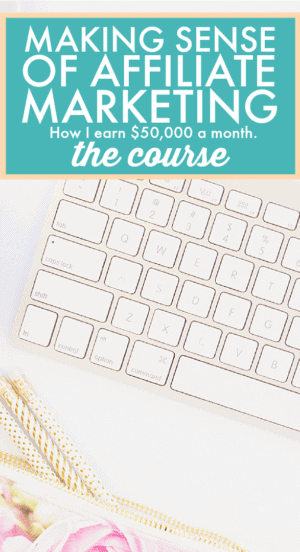 She goes from making $44 in her first month to over $7,000 a month, and she breaks it all down into solid actionable steps so you can easily follow along at home. Everything in this book is very easy to understand and implement, even for a beginner. Bluehost – Bluehost is my current hosting company. They offer an inexpensive and easy way to get you up and running with your blog on WordPress. Bluehost has free domain name registration, is amazingly affordable, and is the perfect place to start. I get that the whole thing can be confusing at first, but they have great support and tutorials. WordPress Engine – As an alternative to BlueHost, if you have a WordPress site, WordPress Engine hosting is a premium value. They start plans at $29 per month, offer free migration, free SSL certificate, and a free 60 trial. It is a more sophisticated WordPress host.